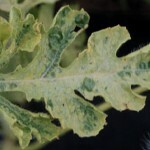 Leaves of infected plants have a mosaic pattern (Image 1), i.e., areas of light and dark coloration. This mosaic may be in association with raised areas on leaves (Image 2). 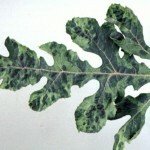 Leaves may also be distorted in shape (Image 3). Diagnosis of the mosaic viruses can not be made with certainty from symptoms alone. 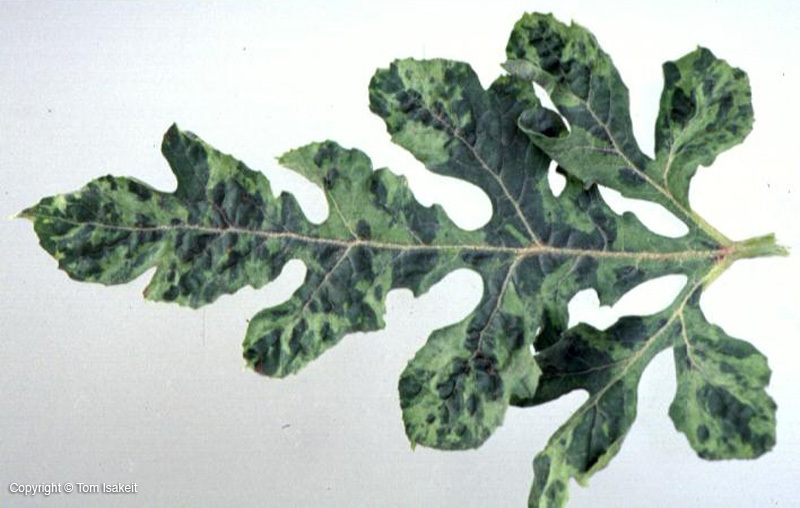 Sometimes plants may be infected by more than one type of virus. 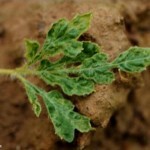 Losses from virus infection are more significant if young plants are infected. Most of the young fruit is aborted and those that are not aborted are malformed. 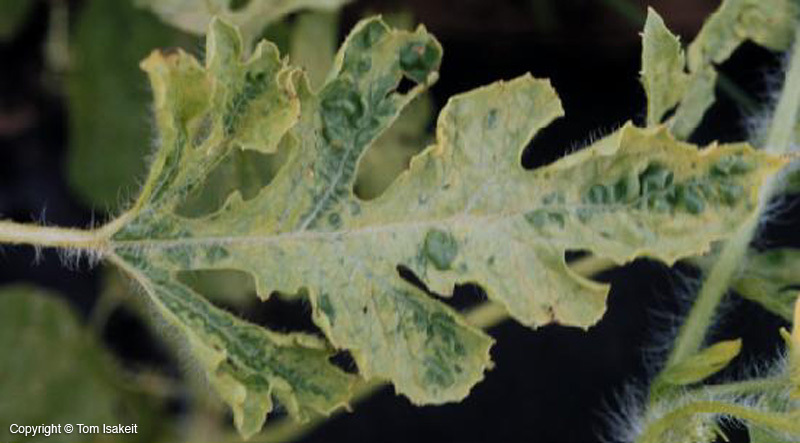 The viruses listed above are aphid‑transmitted and can overwinter in weeds. Virus control by insect control is not usually feasible. 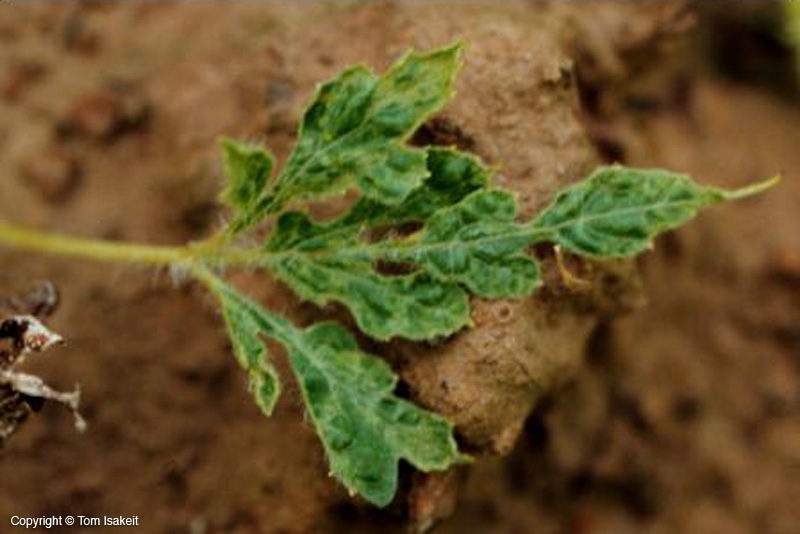 Weed control in and around the field may help to reduce losses, except for virus introduction via winged aphids.